Here it is! 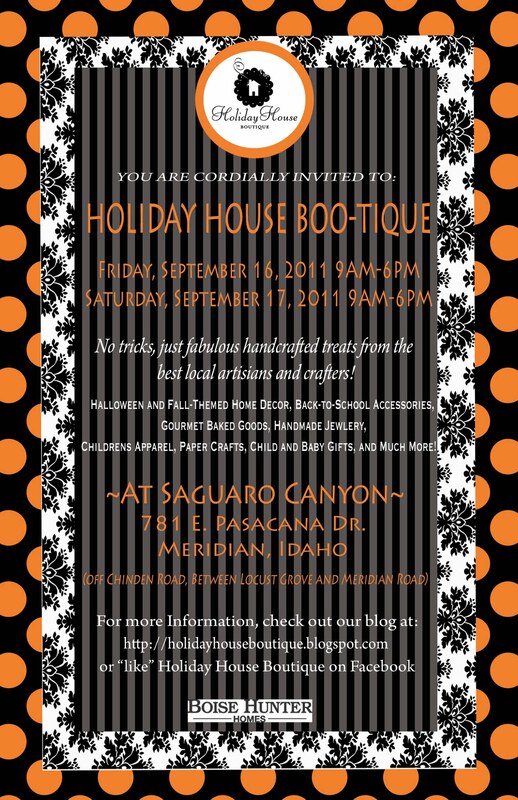 The official Holiday House Boo-tique invite! 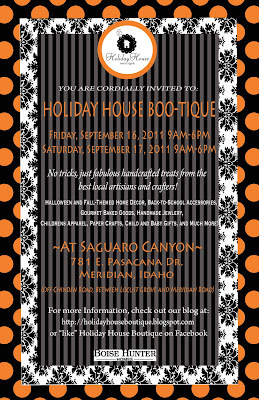 No tricks, just fabulous handcrafted treats from the best local artisans and crafters! Be sure to mark your calanders for the weekend of September 16th-17th. We will be open from 9am-6pm both days. The address is: 781 E. Pasacana Dr. Meridian, Idaho (off Chinden, between Locust Grove and Meridian Rd.) See you there!